I am so in love with biscuits. 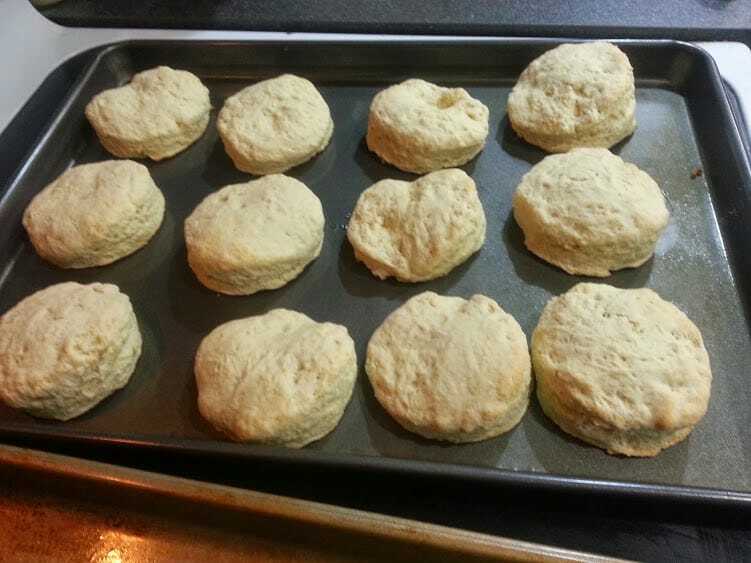 I grew up on biscuits and gravy, and there is nothing like that delicious smell of fresh baked biscuits. 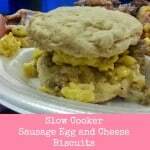 I do still buy canned biscuits from the store every once in awhile, but I wanted a recipe that I could just make on the fly when there’s not enough money in the budget for canned. Plus, they taste SO much better! 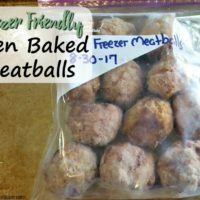 I found this recipe on AllRecipes awhile ago, and it’s such a simple recipe with ingredients I always keep on hand! Smother these biscuits with gravy, break them in half for a breakfast sandwich, or just eat plain. All of them. 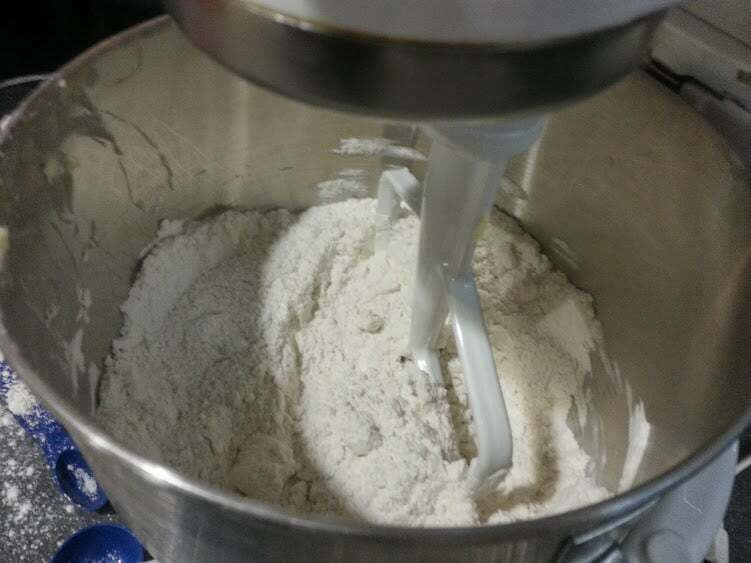 Place the dry ingredients into a mixer and mix until just blended. Cut in the butter, a little bit at a time, until the flour mixture becomes a bit coarse like shown above. Pour the milk in slowly until the dough just starts to peel off the bowl. The original recipe calls for one cup of milk, but I found it only takes 1/2 to 3/4 of the cup. Any more than that and it’s just too sticky to work with. 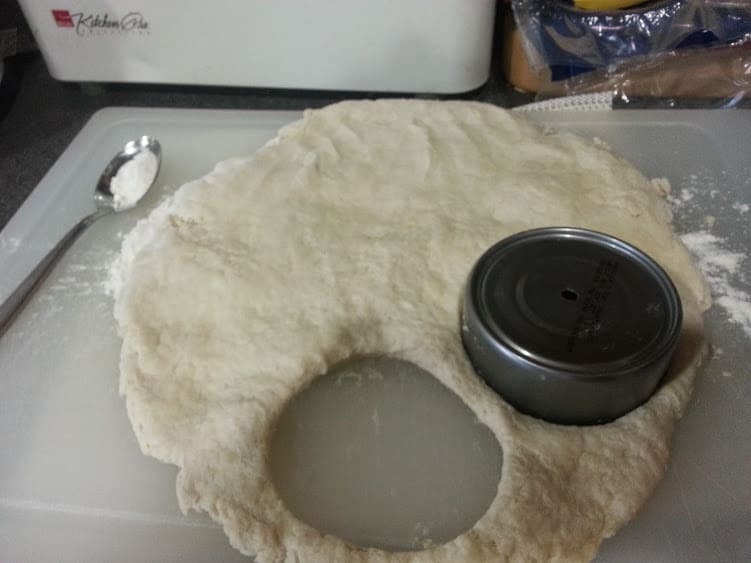 Place the dough on a floured surface and knead a few times, then roll out the dough and use a round cutter to make about 12 biscuits. Why yes, I’m using an empty tuna can to cut my biscuits. 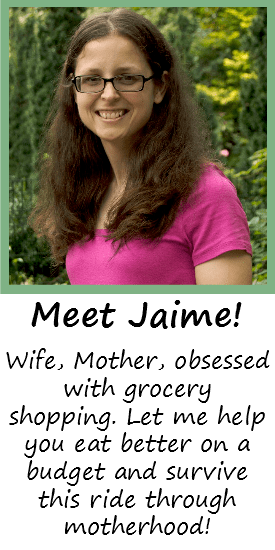 Perfectly shaped, and frugal! 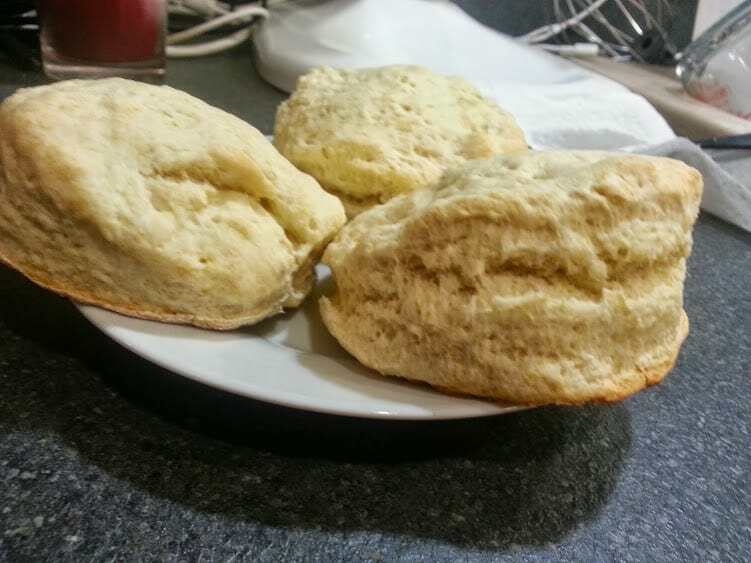 Place the cut biscuits onto a greased baking pan and bake for 13-15 minutes at 425 degrees. The tops look a little light, but they’re perfectly done! What a great way to start off my morning! These delicious golden biscuits are perfect with gravy, on a sandwich, or eaten plain! 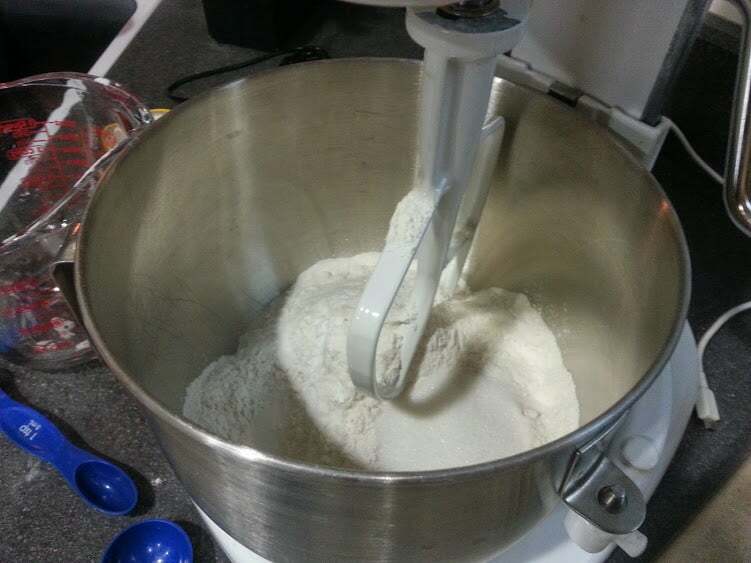 In a stand mixer, combine the flour, baking powder, salt, and sugar. Cut in the butter until the mixture becomes course. Slowly add in the milk until the dough just starts to come off the bowl. 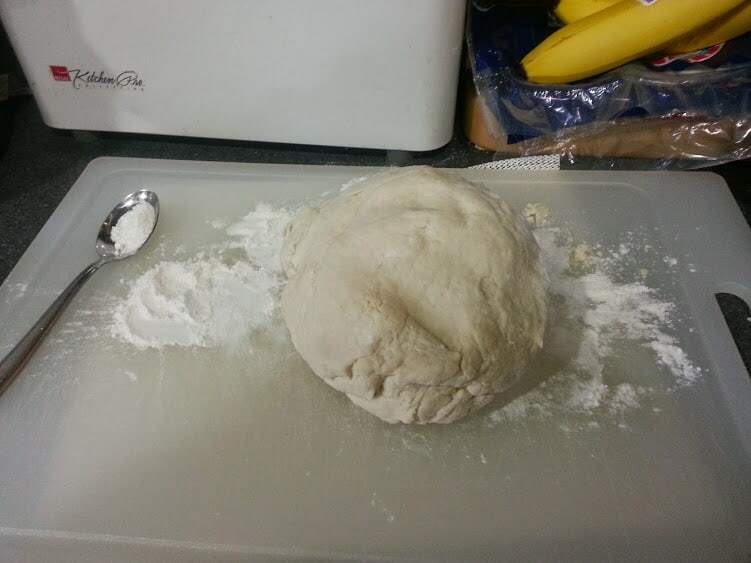 On a floured surface, knead the dough a few times and roll out flat. 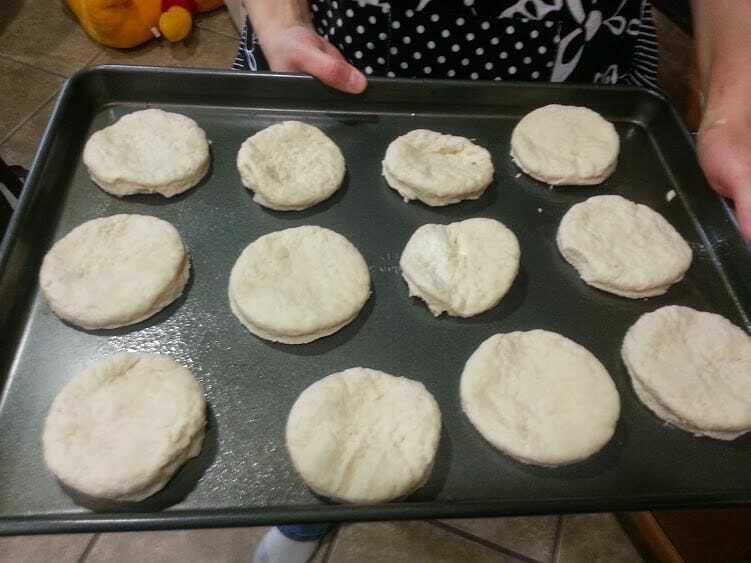 Cut the dough into 12 biscuits and place on a greased cookie sheet. Bake for 13 minutes until the tops are golden brown. Easy Hard Boiled Eggs In The Oven! 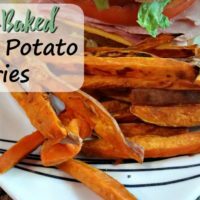 These look fab and easier than I would expect! Great recipe! These look so good! :]! I’ve never tried making biscuits before, but you make it look easy! I need to get a mixer when I’m finally done moving all over the place! I have never made biscuits before but my hubby bought me some cute biscuit cutters for Christmas and I need to use them!